What does Photo Contest Insider do? Photo Contest Insider (PCI) maintains an up to date list of open photo contests from around the world. With over 200 open contests currently listed there is something for everyone. To help you find what you’re looking for, you can use the FREE Photo Contest Finder tool. Do I need to register to use PCI? 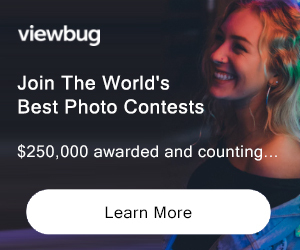 No, you do not need to register to use PCI, but registered members benefit from the Photo Contest Finder tool which finds contests open to you, thus saving you time. Plus, you’ll gain access to PCI’s photo contests when they are available. How do I join on PCI? Click Join Us and complete the form, once submitted you will receive an email with your password. You may need to check your spam folder for the email. Once you have this email, come back to PCI and login with the username you chose, and the password provided. Please check your spam folder to see if it has been delivered there. If it’s not there, please Click here to contact us. How do I enter photo contests? Once you have found the contest you wish to enter, you will need to click on the ENTER CONTEST button at the top or bottom of the page, this will take you through to the organisers website where you will find their instructions on how to enter their contest. If you have any questions about entering contests, then you will need to contact the contest organiser directly. How does a contest organiser submit their contest to PCI? To submit your photo contest to PCI, simply click here and follow the instructions. Once received by the editor it will be reviewed and considered for listing. If your submission is successful, you’ll be notified via email.